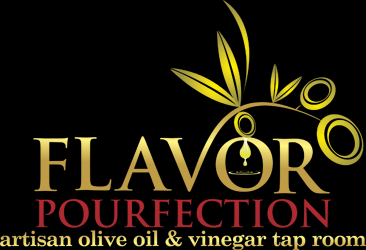 For frying: Use an extremely fresh, Ultra Premium Extra Virgin Olive Oil with a very low FFA, and very high phenol content for high heat stability. Place the potatoes in a large pot with enough salted water to cover. Bring to a boil and cook for approximately 15 minutes until the potatoes are tender. Allow the potatoes to cool completely. Mash the cooled potatoes, season with salt and pepper, and add the garlic and Green Chili Olive Oil’s, parmesan cheese, parsley, and one beaten egg. Mix thoroughly and set aside. Form the potato mixture in to a 2″ oblong shape. Push a piece of mozarella in to the center of each oblong, and form the potato around in so that it is completely encased. 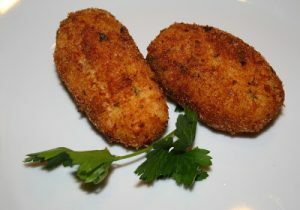 Coat each croquette in egg, and then roll in bread crumbs to thoroughly coat. Set aside on the baking sheet. Heat 2″ of Ultra Premium Extra Virgin Olive Oi in a heavy frying pan over medium high heat. When a deep fry thermometer reaches 375, fry the croquettes in batches until deep golden brown on all sides, about 2 minutes per side. Enjoy immediately.